Pakistan’s legal and regulatory framework generally requires availability, access and exchange of all relevant information in tax matters in accordance with the international standard. Need for improvement was identified in respect of availability of information on settlors and beneficiaries of foreign trusts and provision of access and compulsory powers for exchange of information under treaties which do not provide for avoidance of double taxation. It is however noted that since the cut-off date of the review Pakistan has already taken measures to address some of the recommendations made in the review report. 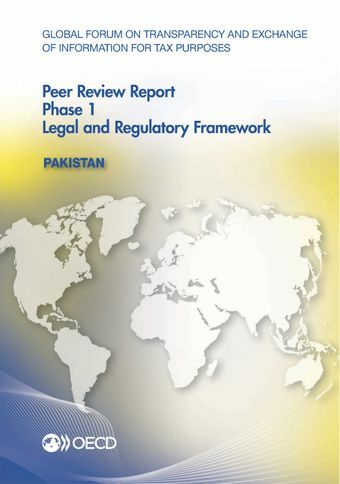 Pakistan’s response to the recommendations, as well as the application of its legal framework and practices will be considered during its Phase 2 Peer Review which is scheduled to commence in the second half of 2015. For further information on the exchange of information practice of Pakistan and to read the full report click here.